Air Force researchers are discovering just how useful natural materials may be in developing biosensing capabilities for Air Force mission needs. The Air Force Research Laboratory’s Materials and Manufacturing Directorate (AFRL/RX) at Wright-Patterson Air Force Base is conducting ground-breaking research in how the molecular structures that make up some of nature’s most interesting materials interact with nonbiological materials to create effective, low-cost and easily manufactured sensing platforms. According to AFRL/RX research team lead, Dr. Rajesh Naik, biological materials — like proteins — are unique in their ability to transform themselves and interact with nonbiological agents to create capabilities that meet military biosensing needs, like monitoring Airman performance, such as fatigue, cardiac function, stress and other biological markers in real-time, in a variety of mission settings. Peptides, a shorter version of a protein, are highly selective and stable. They can be combined with sensitive nanomaterials like graphene or gold to develop versatile sensing platforms capable of achieving ultrasensitive, molecular detection of certain biological or chemical signatures in the body. “The fundamental question for us is: What are the materials concepts that will help us develop robust, low-cost, easily manufactured biosensing devices that the Air Force can use in the field?” Naik said. The biosensing needs of the Air Force are straightforward — commanders want information to tell them the immediate physical status of an Airman. Some of the body’s chemical changes are miniscule, but even the smallest differences can provide insight about an individual’s physical state and serve as early indicators of an Airman’s performance during a mission. Bio-sensing platforms have to be sensitive enough to detect low-level signals, yet robust enough to withstand extreme temperatures and altitude. They need to be comfortable, lightweight and long lasting enough to survive an Airman’s mission, and inexpensive enough to manufacture easily and within acceptable costs. It’s a tall order, and to meet it AFRL/RX has partnered with the 711th Human Performance Wing, as well as experts from several industry and academic institutions, including Washington University in St. Louis, and MC10, a company that provides wearable, flexible electronic sensing expertise. The team is developing non-invasive platforms that include a comfortable, long-lasting patch made from biocompatible materials that can be printed with electronic sensors and worn on the body for several days at a time. Also being developed are sensors made of lightweight, inexpensive filter paper that optically detect miniscule changes in the body’s chemistry and a platform that uses graphene’s unique electronic capabilities to develop biosensing capabilities that are selective for “state-of-the-body” markers they detect. To make it all work in a way that can be translated onto the mission field, the team is also working to perfect a portable hub for displaying changes in a variety of bio-markers. It would need to be inexpensively made, easily transported and able to be used with a mobile platform, like a smart phone. Certain natural materials offer AFRL researchers and collaborators the potential to control the chemistry needed for bio-sensing. When researchers can control the chemistry, the potential for selective, ultra-sensitive sensors expands significantly. When it can be developed into a wearable or disposable inexpensive device that Airmen can take with them into the field, it becomes a game changer. What’s next? MC10, in partnership with AFRL, is currently developing a Perspiration & Temperature Cockpit Conformal Health monitor (PATCH), a wearable system for real-time characterization of sweating, temperature and activity, according to the MC10 senior program manager, Dr. Brian Murphy. MC10 is developing an evidence-based understanding of pilot response to physiologic and cognitive “overload” to characterize pilot (physical and cognitive) performance, and monitor and optimize physical and cognitive states and pilot performance during prolonged operations in extreme conditions. The PATCH can be integrated into a helmet, under-arm and/or other body regions and will monitor sweating rates, sweat conductivity, skin temperature and physical activity, as a function of time. 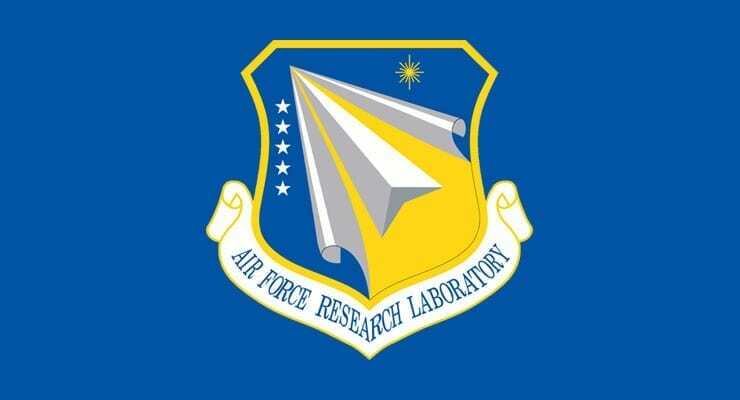 AFRL/RX is also partnering with the Washington University in St. Louis to develop a paper-based sensing device. According to Dr. Srikanth Singamaneni, a professor at the Washington University at St. Louis School of Engineering and Applied Science and researcher in nanomaterials for biology and medicine, the collaboration is the perfect pairing of expertise in nano-material-sensing elements and bio-recognition elements to create a low-cost point-of-need device. Article courtesy of Michele Eaton, USAF, edited for context and length.